Societal change does not come by accident; it occurs because someone first imagined it. This imagination can sneak into your life anytime, anywhere. 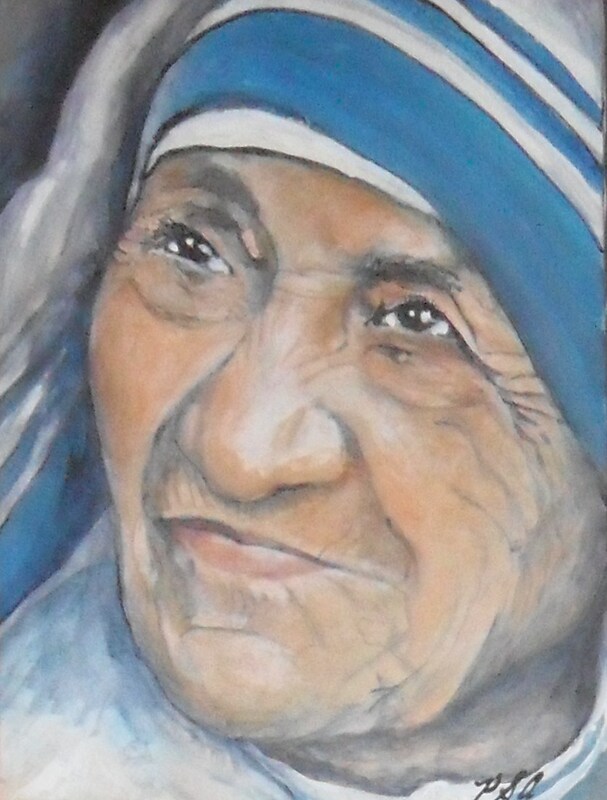 For Mother Teresa, it started the first time she walked by a dying person on the street and wondered why no one was doing anything about it. For a young Martin Luther King Jr. it may have begun as he read about St. Francis of Assisi and Mahatma Gandhi. For an older Nelson Mandela there was plenty of time in prison to imagine what he’d do when he got out. But people everywhere are dreamers. Only a few believe those dreams can come true and fix their lives to that hope. They begin to orient their lives to the dream, believing that if they can live it, others will catch it; and if their community can live it, they can change a nation or even the world. 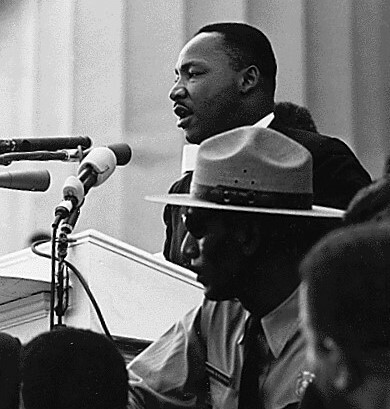 Martin Luther King Jr. spoke about his dream that “little black boys and black girls will be able to join hands with little white boys and white girls as sisters and brothers.” He began to live that dream, joining hands with people of other races and religions to promote racial equality. Gandhi dreamed of India being free from British colonization. First he, then his community, began growing their own food and making their own clothes to show they could live independently of the British commercial system. A nation watched, and began to believe. Nelson Mandela could have spent his 27 years in prison focusing his imaginations on justice, or worse, revenge, but he chose to hope in a “rainbow nation” for South Africa where both white and black men cared about each other. When elected president, he chose to keep many of the white staff from the outgoing president, knowing if he could change the culture in his office, he could change the culture in the nation. But beyond imagination and hope, I believe there is one more vital key that many extraordinary peacemakers shared, and that is prayer. When our dreams come into alignment with God’s dreams, an unstoppable force moves with us against that formerly “immovable object.” Study the lives of the great peacemakers and you will inevitably find they were people of prayer. Gandhi spoke and wrote prolifically about prayer. He said, “No act of mine is done without prayer,” and “As food is necessary for the body, prayer is necessary for the soul. A man may be able to do without food for a number of days…but believing in God, man cannot, should not live a moment without prayer.” Gandhi’s fasting and prayer literally stopped a civil war and saved the nation. Interestingly, the great peacemakers were generally humble people who recognized that if we all are dreaming and hoping for a change, we should all be willing to pray together for that change. Martin Luther King Jr. brought Christians, Muslims and Jews together to pray for America. Mother Teresa enjoyed praying with Christians, Muslims and Hindus, stating, “No color, no religion, no nationality should come between us—we are all children of God.” Badshah Khan, the outstanding peacemaker among the Muslim Pashtuns in northwest India, joined Gandhi’s interfaith prayer meetings and credited his Christian teacher Rev. E.F.E.Wigram as the one “who had created in me the spirit of service to God.” Nelson Mandela, a Christian, was a dear friend to the Muslim community of South Africa and joined them in prayer. Gandhi was well-known for uniting different groups to pray. About one of his famous fasts in response to Hindu-Muslim violence in 1924, Gandhi said this: “The fast was an adventure in goodness. The stake was one man’s life. The prize was a nation’s freedom. If Indians were united as brothers, no outsider could long to be their master.” When the fast was complete, Gandhi called his “brothers” together for a time of religious unity, where an Imam recited the Al Fatihah, a Christian missionary led the singing of a Christian hymn, then Hindu holy readings and songs closed their time together. So go ahead and dream! Ignite your imaginations for a better future. When those dreams turn to hope, you’ll find yourself naturally following Gandhi’s advice, “Become the change you want to see.” Pray your dreams; let God’s dreams refine yours, expand yours. And pray them with others who share your dreams, recognizing that if they are truly God’s dreams, they are much bigger than you. …as he declared those images, King’s dream became a nation’s dream. What might your dreams become?